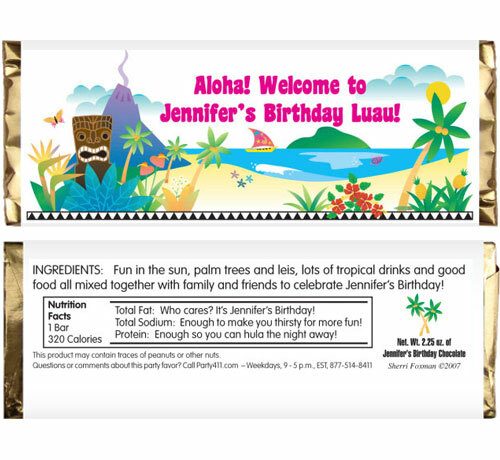 Personalize your party with these luau theme candy bar wrappers. Say aloha. Picture yourself on this luau party favor. This favor works for any luau but especially beach parties. 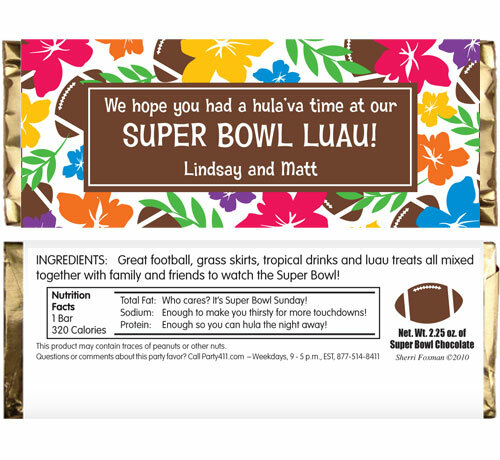 Perfect for a luau theme super bowl!